They are delighted to announce a beautiful new venue for 2019 – Brownlow House, a stunning country manor overlooking the scenic surroundings of beautiful Lurgan Park. From the moment you enter ‘the castle’ you are surrounded in luxury with ornate high ceilings, grand spiraling staircases and stunning stained-glass windows, making it a picture-perfect setting befitting of a Frock Fairs event! Visitors can also relax in the grandeur of the Brownlow House tearooms and learn more about the war time history of this stunning house in Brownlow HQ Museum. 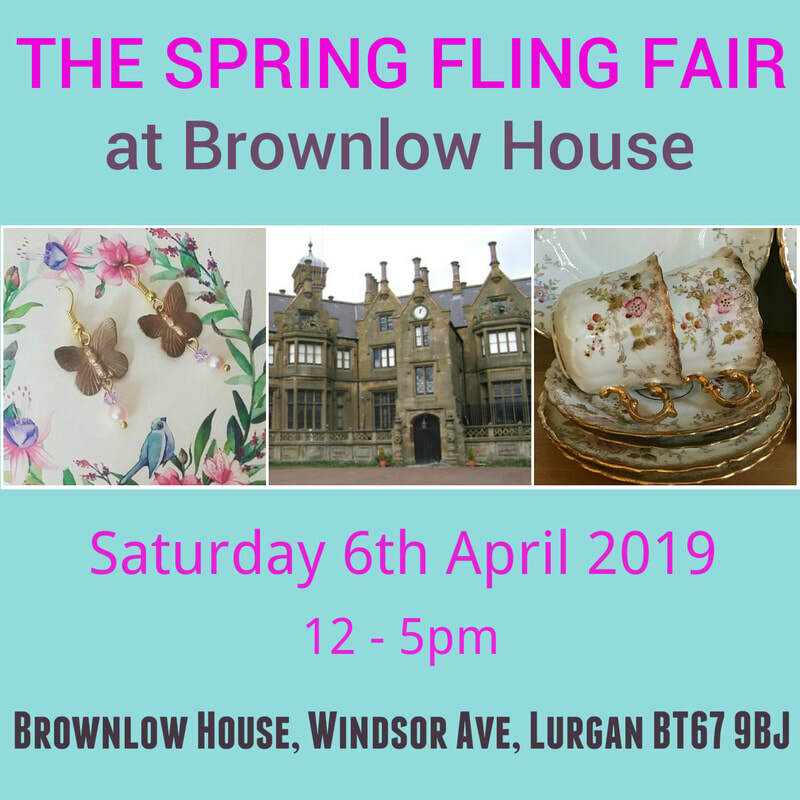 The first event at Brownlow House will be THE SPRING FLING FAIR on Saturday 6th April. This event will feature 30 fantastic stalls of original handmade, vintage and holistic loveliness including fashion, home, jewellery, sweet treats & artisan food, art, crafts and gifts.